Many brides-to-be visit bridal shops with specific goals in mind regarding the style of their wedding gowns. Some women come equipped with magazine tear-outs or pull up ideas on their mobile phones. Others may have an entire scrapbook filled with various ideas they’ve been compiling for years. Much consideration is given to wedding gowns. The cost and silhouette of the dress may garner the bulk of that consideration, but brides might want to spend more time considering comfort. Depending on the time of day their weddings take place, brides can spend 12 hours or more in their wedding gowns on their wedding day. However, when shopping for their gowns, brides may prioritize beauty over comfort, even though it’s entirely possible to find a gown that’s both stunning and comfortable. 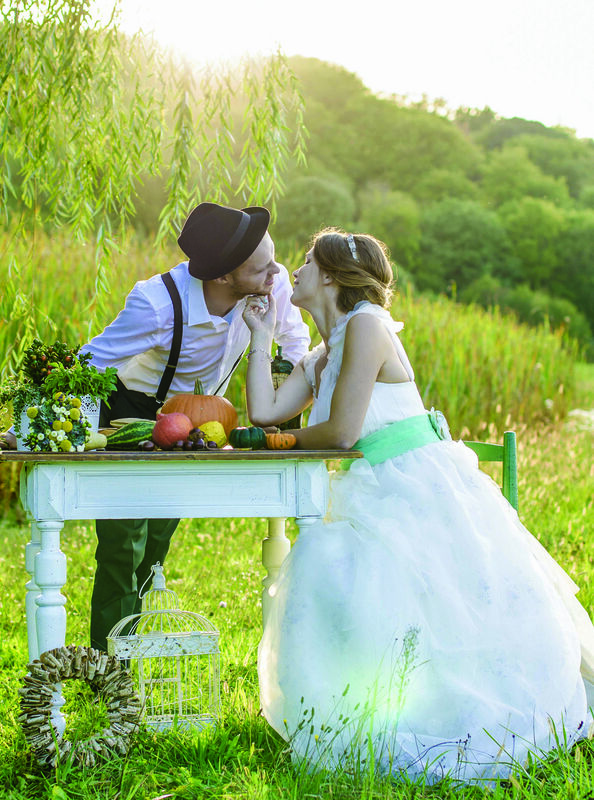 When staff and friends or family who have come along to offer advice start to blush over wedding gowns, brides-to-be may feel pressured to downplay any discomfort they feel. To make sure brides look flawless and elegant but are still comfortable in their wedding gowns, consider the following tips. • Know what to highlight and what to cover up. No two body types are the same, and many women feel certain parts of their bodies are their best assets while they want to downplay others. Try on gowns that play up your best features. If you have shapely legs, consider a dramatic gown with a slit to show them off. Certain gowns can enhance the decollete or show off an hourglass shape. Remember, many gowns can be modified so that you feel secure and confident. Sleeves can be added or fabric placed to cover up any perceived flaws. Confidence and pride are important parts of the comfort factor. • Get sized correctly. Bridal gown sizes do not coincide with street sizes. Depending on the manufacturer, brides may have to select gowns that are several sizes larger than they would normally wear. This should not be a cause for alarm. Brides should go by their measurements. Attempting to squeeze into a dress that is too small will only lead to discomfort on the wedding day. • Purchase the right undergarments. Improperly fitting bras, shapewear and other undergarments can lead to discomfort as well. Some seamstresses can sew in supportive cups to remove the need for separate bras. Brides can explore various options to reduce the visibility of certain accoutrements. • Move around in the gown. Brides should not just stand in front of the mirror and smile when trying on gowns. Put them through their paces. Try sitting, bending and even a little dancing. Make sure the dress is comfortable to move around in. • Try different options. The gown brides have in mind may not be the one they ultimately go home with. Explore different styles and materials. Choose cooler, breezier fabrics and lightweight gowns, like crêpe, georgette or organza, for summer weddings. Heavier fabrics, such as brocade, may be more comfortable in the winter. Wedding gowns can be both beautiful and comfortable for those who know how to shop.